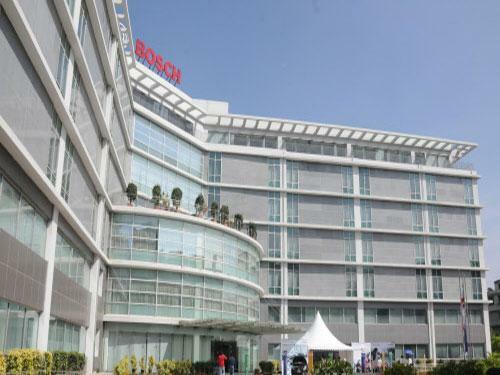 Bosch plans to take its skilling programme BRIDGE (Bosch’s Response to India’s Development and Growth through Employability Enhancement) from the present 125 centres across the country to 200 centres soon. Bosch also wants to take the number to 10,000 from the present 7,500 people. While the programme intended at the manufacturing industry comes from a more long-term, hard-skills development perspective, it is more short-term soft-skills oriented for the service industry. “Our long-term career-oriented training offered at the Bosch Vocational Center (BVC) has been Indianised over the years, and as of December 2016, around 3,500 individuals have passed out over these years,” he said, adding, “Bosch is committed to skilling well before Prime Minister started Skill India. We will continue doing it...we do it not just for us; we do it for society,” he said. Also, over the past two years, the company has developed a new training programme that focuses on producing high-quality skilled artisans, such as carpentry and electrician, in India.